The visitor prize for the World Grand Prix in Japan has been revealed! 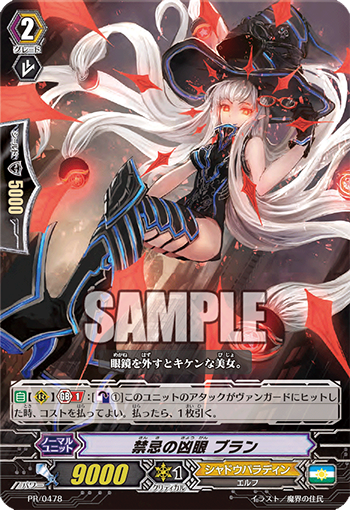 [AUTO](RC) Generation Break 1:[Counter Blast (1)] When this unit’s attack hits a vanguard, you may pay the cost. If you do, draw a card. You can get this prize as participant or visitor of the World Grand Prix in Japan if you stay until the closing ceremony. When you leave the venue you will receive this promo card (and a Trigger Campaign pack). Please refrain from trying to leave the venue twice (by sneaking in again), if you try and get catched, they will throw you out (or politely: ask you to leave).